Epicor Software Corp. has announced the availability of version 6.0 of its Honda Approved Epicor CMS enterprise-resource-planning (ERP) solution for the automotive industry, featuring new functionality and usability enhancements. 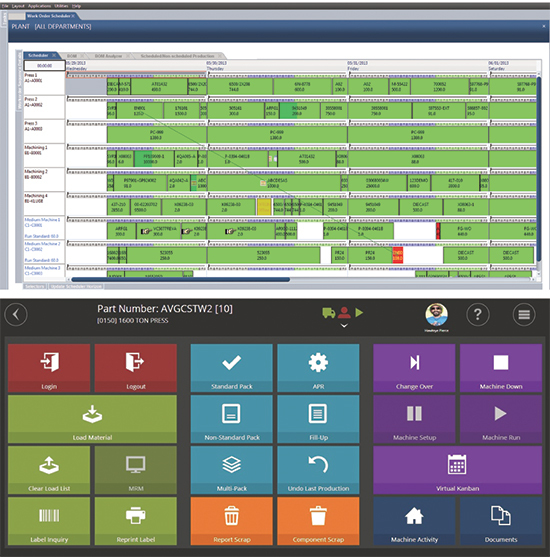 Highlights of Epicor CMS 6.0 include new quality-control tools, manufacturing-execution-system (MES) touchscreen capabilities available with Production Manager, and enhancements to repetitive manufacturing capabilities. New production- and quality-management features in Epicor CMS reportedly provide improved control when dealing with detail inspections on the shop floor. Enhancements include the ability to specify whether or not certain inspection procedures should be mandatory; record those test results with lot or serial number; and use event-based utilities to allow the operator to report inspection results at the machine. Rather than creating an inspection request when reaching the production threshold, a notification screen prompts the operator to begin inspection and then report the results and disposition. The employee tag also is entered to identify the person performing the inspection. For users looking to collect real-time manufacturing data from the shop floor and/or error-proof production reporting and container-label creation, the latest version of Epicor CMS adds Production Manager to deliver these MES capabilities. Operator touchscreen solutions provide a Microsoft Windows 8 Metro Style user interface that supports machine PLC-based automation of production reporting to ensure that the right part is in the right container with the right label. An accurate understanding of the real sources of machine downtime enables well-targeted continuous-process improvement activities to unlock hidden capacity within the plant. Production Manager is available as an add-on module.